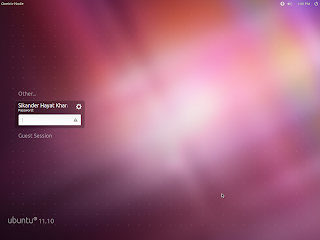 Ubuntu Oneiric comes with a new display/login manager - LightDM. 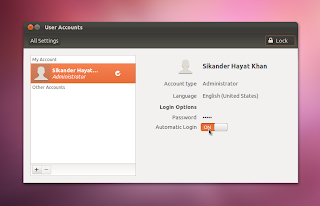 Most of us are already familiar with 'gdmsetup', which was used to tweak the 'Login Screen' settings in previous versions of Ubuntu, e.g. for choosing the default session, setting your account to auto-login, etc., but Oneiric doesn't come with 'gdmsetup' as it doesn't come with GDM by default. Update 2/19/2012: By now, LightDM takes into account the last chosen session, and, thus, overrides any other settings for both 'user-session' and 'autologin-session', set up in the '/etc/lightdm/lightdm.conf'; just make sure your system is updated! LightDM can also be set to auto-login by creating a custom file named 'lightdm.conf' under '/etc/lightdm' directory. 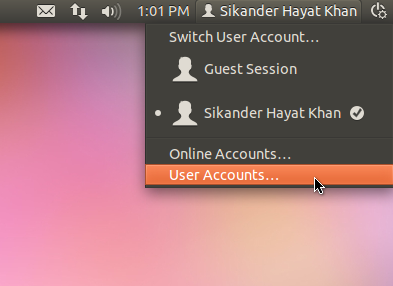 This way you can also define your preferred auto-login session. If you are doing it from the console, you would need to use 'nano' instead of 'gedit' and 'sudo' instead o 'gksudo'. To set a timeout for auto-login, change the value of the key 'autologin-user-timeout' located in the '[SeatDefaults]' section of your '/etc/lightdm/lightdm.conf' as indicated in the above section; if the key isn't already there, just add it. - Though there is currently a bug with that!